If you wanted to conjure up an image of a show called The Great British Baking Show, this would probably be it – a filigree pattern, a beautifully decorated cake, a sense of calmness and refinement. It probably also sounds a little sleepy; something quaint and cozy and reminiscent of a bygone Britain. This is a show that is a relatively recent import to the U.S. and it has found rabid fans here, making it a popular show on PBS with legions of American fans. In Britain it aired as The Great British Bake-Off (see above) and while the promotional material is the same, that title signifies, well, so much more. What does the term xxxx-off - say to you? Runoff, Cook-off, Payoff, Standoff – they all imply competition, a fight to the end, an elimination. It tells you immediately that what you are talking about is people competing with each other so that there will be one winner left standing. It is in fact the beauty of The Great British Bake Off that it is a reality show, with an elimination contest that doesn’t feel that way. Come for the competition, stay for the conviviality. The show is filmed in a large tent set on the beautiful manicured lawn of an English country house, there is British bunting around the tent and even a huge downpour outside doesn’t dim the picturesque setting. This show is both calming and stressful. It is about competition and camaraderie. It is about being kind to people around you even though you want to beat them by baking the best sponge cake ever. The judges are honest but friendly. The hosts take it upon themselves to be supportive to the competitors not mean. The production values are tranquil, no manipulative music, no nastiness, no jagged editing. This is the anti-Gordon Ramsey, the opposite of Cupcake Wars. But, make no mistake this show is a baking battle to the finish and the words Bake Off imply exactly that. So why change the name in the U.S? Was the idea of something that even implied cut-throat competition, despite being wrapped up in the verdant cloak of pastoral Britain, too much for a sensitive PBS audience? You would be amazed at the time and effort media organizations invest in picking a name/headline/title for content. When coming up with a name the first thing organizations do is to conduct a thorough check of the name from every angle. Will it make sense for our audience? Has someone used it before? Did they copyright it? In the case of The Great British Baking Show the answer lies in the reality of global markets and copyrights. Americans are probably most familiar with something called the Pillsbury Bake Off ®. Started in 1949 to celebrate the 80th anniversary of Pillsbury, the company asked for submissions using Pillsbury Best flour. The best 100 submissions led to a live competition at the Waldorf Astoria Hotel in New York, with the winner receiving $25,000. What started off as the “Grand National Recipe and Baking Contest” became the Pillsbury Bake Off ®. And that’s where the name Bake Off resides, in the U.S. So that’s how we got to The Great British Baking Show on PBS. Apparently Pillsbury was not open to the show using its original British name. That’s one of the reasons shows get a name change in the U.S. Sometimes it is because despite what we think, the U.S. and the U.K. are not always united by a common language. 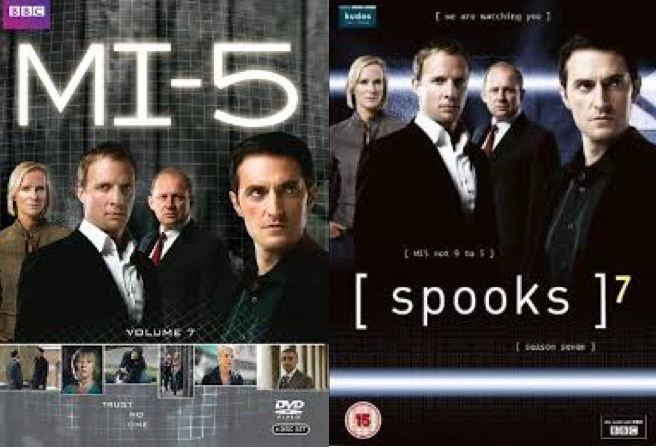 For American fans of the espionage show MI5, they may not know that the show aired in Britain as Spooks – a common term to describe a spy in British parlance but a derogatory racial term in the U.S.
Other times it's about what makes sense to an individual market. One example, a co-production between PBS and the BBC Natural History Unit aired as Great Yellowstone Thaw this summer on PBS and as The Great American Thaw on the BBC. According to Bill Gardner, vice president of programming and development, "It was set in Yellowstone, which obviously has a greater iconic meaning here, so we titled it Great Yellowstone Thaw. It's not uncommon at all in international coproductions, though when possible we do try to keep the same title if it makes sense." Each individual case makes complete sense and shouldn't take away from our enjoyment of the show. Sometimes a name is not just a name. And for those of you who think you are in for a a quaint little show about cakes if you tune into The Great British Baking Show, give it a shot – the competition will have you hooked.